Product categories of 10g Fiber Media Converter, we are specialized manufacturers from China, 10G Fiber Media Converter, Fiber Optic Media Converter suppliers/factory, wholesale high-quality products of Fiber Optic Converter R & D and manufacturing, we have the perfect after-sales service and technical support. Look forward to your cooperation! 10GbE Media Converters transparently connect 10 Gigabit Ethernet links over multimode or single mode fiber. Each 10G Media Converter comes with pluggable transceiver ports that support fiber to fiber, copper to fiber or copper to copper media conversion.10G media converter are complete and versatile solutions for the application such as FTTx, CWDM and carrier Ethernet. By the diversified speeds of 1,000Mbps and 10G, N-net provides standalone 10G media converter products for different applications and can be applied as per your ideal network topology. N-net 10G media converter supports various interfaces such as UTP, SFP, SFP+, XFP etc. 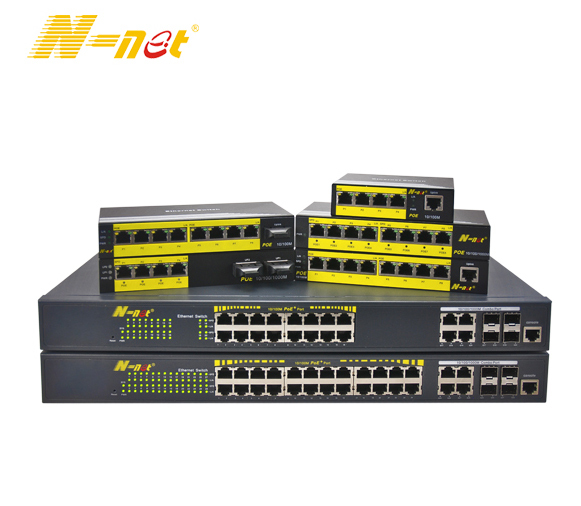 All these interfaces are developed to support the protocols such as 100Base-Tx, 1000Base-T, 10GBase-T, and 10GBase-LR, 10GBase-SR, which makes your network more complete and solid.